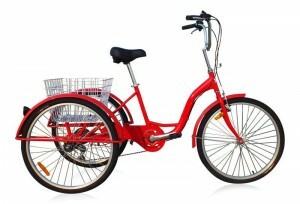 Bikes are available in various sizes. Starting from 20” wheels up to 26” full size adult trikes. Colours availale are Red, Blue or Black. Low step frames with lumbar support are also available. 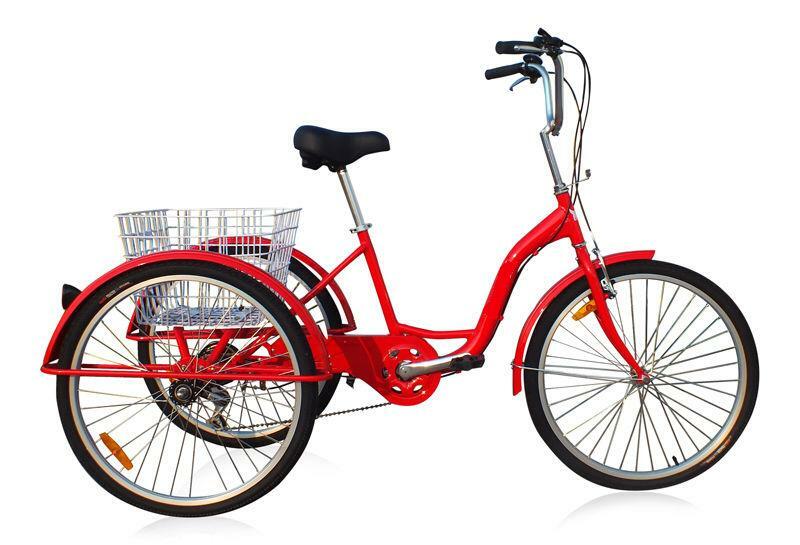 Trikes come with a 6 speed gearing system and rear basket. Battery capacity is 36 V 13 amp. Please call or visit the shop to discuss the available options.